It's the beginning of a new month, and that means I get so share some fun projects and beautiful ribbons from the fantastic new November Ribbon Club Assortment. Oooooo....shiny! 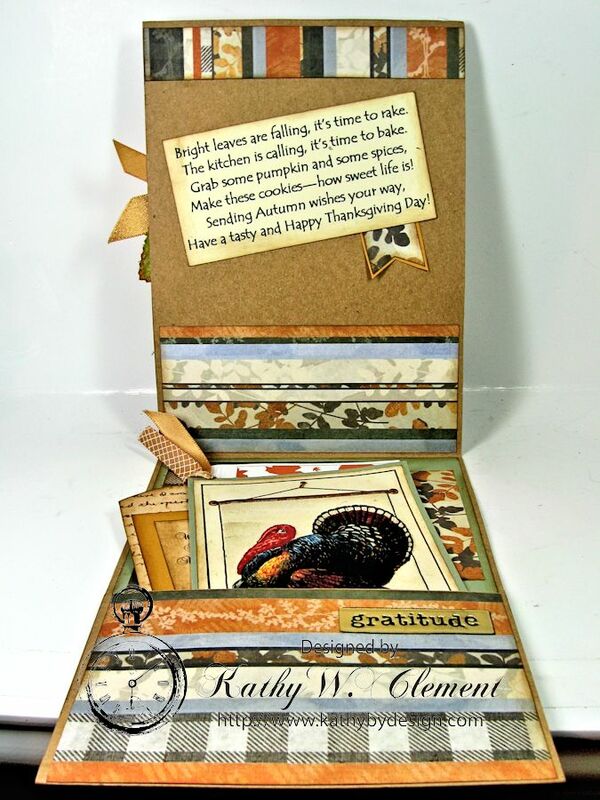 I created a pocket on the inside, wrote a little poem for the top half of the card and then stuffed that pocket full as a Thanksgiving turkey with a bunch of holiday goodies. There's a tag, a recipe card and a turkey magnet, just for fun! The tag is topped with more of that gorgeous Old Gold Crosshatch satin ribbon on top. The artwork is from a digital collage sheet that my friend Heather Hudson shared with me last year. I found this handsome Thanksgiving turkey in my Thanksgiving ephemera file, and I honestly don't know where it came from! I placed a magnetic sheet between the image and the cardstock layer so it can be displayed on a fridge, a work cubicle or any metal surface. I just love pulling goodies out of pockets, don't you? 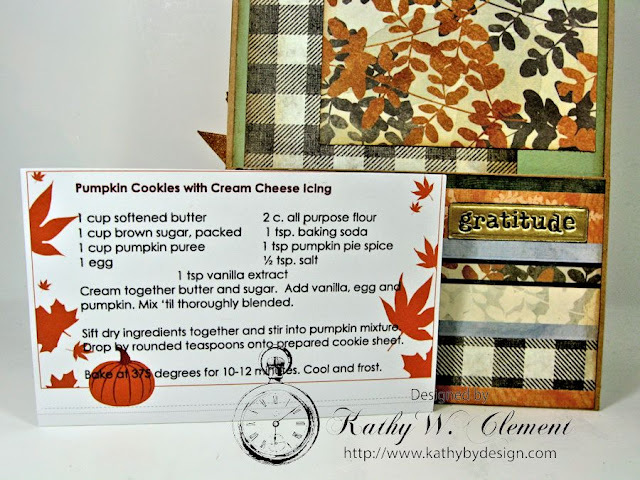 The final item in the pocket is one of my favorite fall cookie recipes...which ties in with the poem! See how much fun that was? The image was stitched onto burlap and then layered up with loads of beautiful goodies. These WOC Cosmos Daisies are a beautiful golden hue, and when sponged with just a touch of Vintage Photo Distress Ink they look so vintagey and fabulous! I layered up more of that spectacular Old Gold Shimmer Satin Ribbon but this time it was paired with sophisticated Old Gold & Silver Diagonal Stripes on White Satin Ribbon. I used the same ribbon combo on my bow. 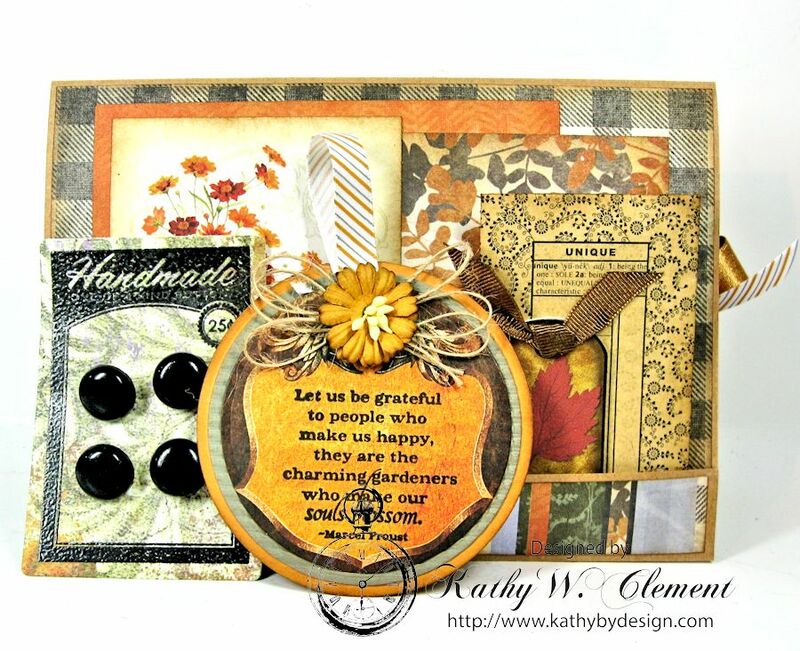 I love how the pattern and texture fit right in with the papers and image. Of course there is a pocket on the inside of this card as well. 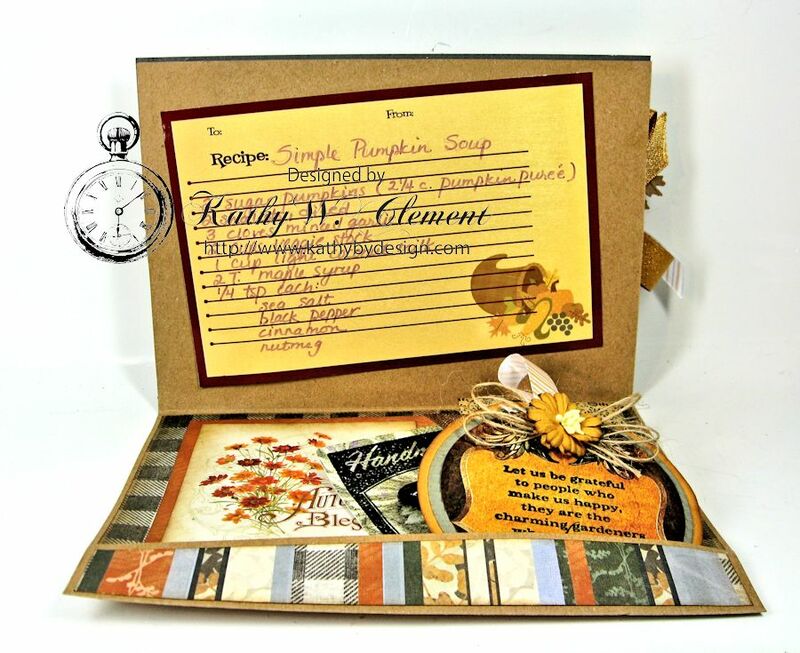 This one has a recipe for Pumpkin Soup on the top half of the card. And as you can see here, the pocket is brimming with Thanksgiving goodness! I made another magnet, this time stamping a sentiment onto a circular panel. It's fancied up with a bit of natural burlap string and another Cosmos Daisy. You could tuck a small gift into the kraft envelope, and who doesn't love vintage buttons on a hand stamped button card? These would be such great hostess gifts, or wonderful surprise packets to send to friends and family who are far away. 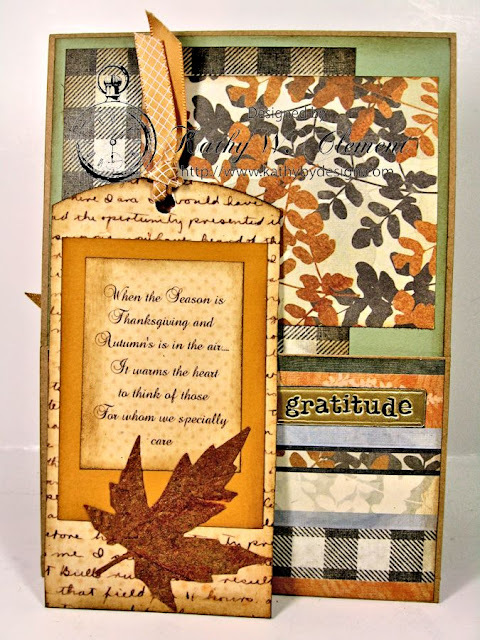 The cards will be pretty on someone's mantel, and the gifts inside just add to the fun. 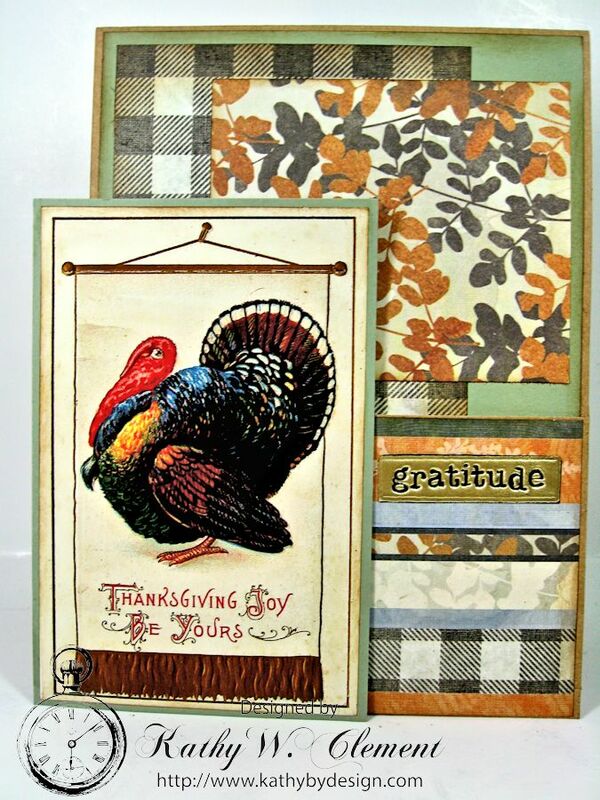 This is such a great season, a time to give thanks, express gratitude and enjoy time with the people we love! Great cards, Kathy! Love them! So fun!!! nothing else needs to be said.... you are just flat out brilliant! 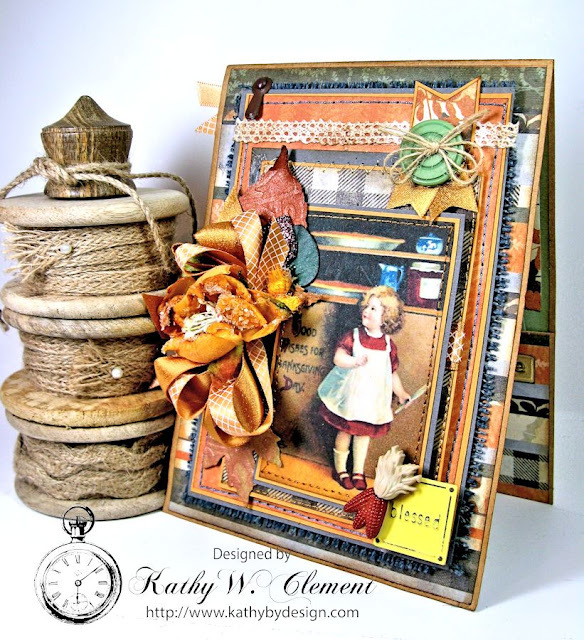 What a fun, fun project! The recipient is going to go nuts over this! Love it!